At every level of Buddhist practice, relying upon the Spiritual Guide is regarded as the source of inspiration, understanding, and progress on the spiritual path. But nowhere is this practice more important than in Tantra. It is the supreme gateway to receiving blessings for all practitioners, but especially for those practicing Tantric Mahamudra. 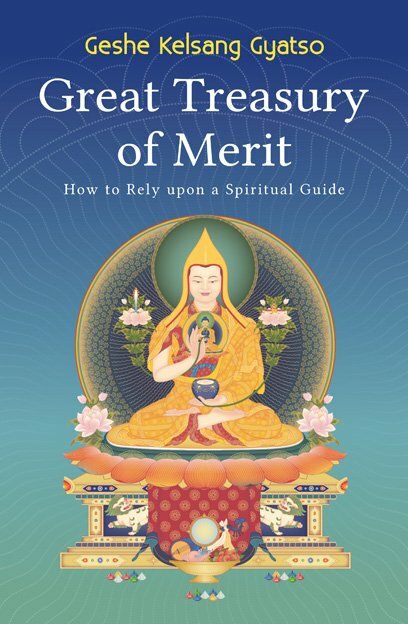 In giving a line-by-line commentary to the practice, Geshe Kelsang explains the essential stages of the path of Sutra and Tantra and shows how we can greatly increase the efficacy of our meditations by relying sincerely upon a qualified Spiritual Guide. All schools of Buddhism agree that the practice of Guru yoga, or relying upon a Spiritual Guide, is the root of the spiritual path and the foundation of all spiritual attainments. We can understand this from our ordinary experiences. For example, if we want to acquire special skills, become proficient at a particular sport, or learn to play a musical instrument well, we naturally seek a qualified teacher to instruct us. By following our teacher’s example and sincerely applying his or her instructions, eventually we accomplish our aim and become just like our teacher. If reliance upon a qualified teacher is necessary for mundane achievements such as these, how much more necessary is it for spiritual attainments such as liberation or enlightenment? There are two main streams within Buddhism: the Hinayana, or Lesser Vehicle, and the Mahayana, or Great Vehicle; and the practice of relying upon a Spiritual Guide is fundamental to both. According to the Hinayana, we should regard our Spiritual Guide as being like a Buddha and, with a mind of faith and devotion, offer gifts and service to him and repay his kindness by following his advice and practising his instructions. According to the Mahayana, however, we should regard our Spiritual Guide as an actual Buddha and, with a mind of faith, rely upon him sincerely in both thought and deed. The ultimate goal of a Hinayana practitioner is the attainment of liberation. This depends upon practising the three higher trainings, and this in turn depends upon first developing the motivation of renunciation. All these attainments depend upon the kindness of a qualified Spiritual Guide. For example, the motivation of renunciation does not arise automatically in our mind but has to be cultivated using special methods. First we have to understand the unsatisfactory nature of samsara and develop a wish to escape from it. This depends upon having a clear understanding of impermanence, rebirth, karma, refuge, and the four noble truths. Without a Spiritual Guide to instruct us in these practices and to encourage us to train in them we will never gain these experiences. Once we have developed renunciation we engage in the three higher trainings: training in higher moral discipline, training in higher concentration, and training in higher wisdom. To practise higher moral discipline we first need to receive vows from a qualified Spiritual Guide who then helps us to practise pure moral discipline by teaching us what is to be practised and what is to be avoided; and by setting an immaculate example for us to follow. On the basis of our training in higher moral discipline we practise higher concentration by training in tranquil abiding. This entails overcoming the five obstacles by applying the eight antidotes. Without receiving instructions from a qualified Spiritual Guide we do not even know what these obstacles and antidotes are, let alone what to do about them. Thus it is only by relying upon a Spiritual Guide who gives instructions and guidance based on his own experience that we are able to progress through the nine mental abidings and eventually attain tranquil abiding. Once we have attained tranquil abiding, if we then train in higher wisdom by placing our mind in single-pointed concentration on emptiness we will soon attain superior seeing, and with this we will eventually be able to eradicate our self-grasping and attain liberation from samsara. However, emptiness is a profound object, and it is impossible to gain a realization of it without the skilled instructions and guidance of a qualified Spiritual Guide. Therefore, all the stages of the Hinayana path to liberation, from initially generating renunciation through to the abandonment of self-grasping and the attainment of liberation, are accomplished only through the kindness of a qualified Spiritual Guide. Just as reliance upon a qualified Spiritual Guide is essential for completing the Hinayana path, it is also essential for training on the Mahayana path. All the stages of the Mahayana path, from generating equanimity and great compassion through to the final attainment of Buddhahood, are accomplished only through the guidance and blessings of a Mahayana Spiritual Guide. To enter into the Mahayana path we must first generate the motivation of bodhichitta. Like renunciation, this motivation does not arise naturally but has to be cultivated using special methods such as the sevenfold cause and effect and equalizing and exchanging self with others. 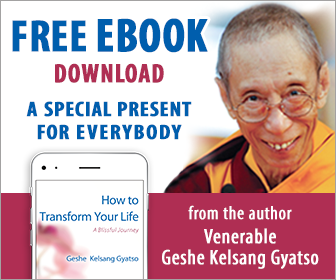 Without receiving instructions and guidance from a Mahayana Spiritual Guide we could never gain these precious realizations. Once we generate bodhichitta we need to receive Bodhisattva vows from a Mahayana Spiritual Guide, who then instructs us in the practice of the six perfections and guides us on the five Mahayana paths and the ten Bodhisattva grounds until we attain the Mahayana Path of No More Learning, or Buddhahood. Without the inspiration of our Spiritual Guide’s pure example, his unmistaken instructions, and his constant blessings, we would never complete this training. If training in the Sutra stages of the path is impossible without relying upon a Spiritual Guide, it is completely unthinkable to enter into Tantric practices without relying upon a Tantric Master. Buddha’s Tantric teachings are very difficult to understand and they are scattered throughout many scriptures without any clear indication as to the correct sequence in which they are to be practised. If we try to practise Tantra without relying upon a qualified Tantric Master we will only increase our confusion. In the scriptures it says that no matter how long we churn water we will never produce butter and, in the same way, no matter how long we try to practise Tantra without relying upon a qualified Spiritual Guide, we will never attain Tantric realizations. If, on the other hand, we find a fully-qualified Tantric Spiritual Guide, receive empowerments from him, rely upon him with deep faith, keep our vows and commitments purely, and practise sincerely the instructions on generation stage and completion stage, we can easily attain enlightenment within one short human life. We can see therefore that all spiritual training, whether Hinayana or Mahayana, Sutra or Tantra, depends upon the guidance and blessings of a qualified Spiritual Guide.